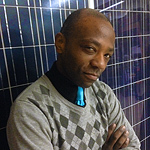 James Kinyanjui joined Solar One’s Green Workforce Training program in 2010. He teaches and develops training curricula that aim to be enjoyable as well as educational – and has the utmost fun doing it! James is certified in BPI Building Analyst, BPI Multifamily Building Operator, GPRO Operations and Maintenance, and GPRO Electrical. Coming out of the IT industry, James graduated from DeVry University in 2007 with a degree in Network Communications. For three years he worked in computer network administration in both New York and Seattle. Teaching is something that James has always enjoyed doing. During high school, James volunteered at Big Brothers and Big Sisters of New York as a math tutor. In college, James held tutoring sessions for math and physics, and taught ABE math at two of Seattle’s correctional facilities. Back in New York, James volunteered at Strive for tutoring sessions in GED-Math prior to working for Solar One. The ability to share his love and appreciation of math and technical subjects is a major focal point and passion in his work. Gary Smith came to Solar One in 2011 as the coordinator of Solar One’s Whole Buildings Education program where he helped buildings achieve energy savings and reduce their environmental impact through education, creating awareness, and encouraging behavior change. Gary joined Solar One’s Green Workforce Training program as an instructor in 2014. Gary is certified in BPI Building Analyst, BPI Multifamily Building Operator, and GPRO Operations and Maintenance . He has also completed Envirolution’s Win-Win Campaign for energy auditors. Prior to his work with Solar One, Gary served as an after school educator for Boys and Girls Harbor and taught GED math. Joshua Vedder came to Solar One in 2012 as a Green Building Instructor. Josh teaches green building science, GPRO, and BPI Multifamily Building Operator as well as carpentry, plumbing and electrical. Formerly a trade school instructor, Josh has over ten years of experience in the building trades. During his first few years in the field, Josh was finishing up his degree from Dowling College as a pilot and had trained for two years as an electrical engineer. Josh is certified in BPI Building Analyst, BPI Multifamily Building Operator, GPRO Operations and Maintenance, and GPRO Electrical. Josh has spent many years volunteering and working with underserved youth. He found Solar One through Build it Green, where he still volunteers to this day. Currently managed by Here Comes Solar staff. Angelica joined Solar One’s Here Comes Solar program in 2014 to coordinate the 1-4 family solar program. Angelica now managers Solar One’s resiliency programs (PV+energy storage). Angelica first got involved in renewable energy efforts at the University of Florida, where she helped start the Neutral Gator program to green the University’s athletics program and facilities. This project created energy reductions for low-income residents, which were then certified into carbon offsets that were applied to football games and other campus sporting events in order to make them carbon neutral. 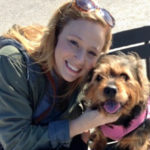 She then moved to New York to become involved with larger-scale urban green energy projects, first working on Con Edison’s energy efficiency programs for small businesses and later transitioning to small-scale solar energy installations in 2011. Juan joined Solar One in 2017 to implement solar projects in low to moderate income communities. Originally from New Jersey, Juan attended Boston College where he discovered his interest in environmentalism through a senior year elective, Black and Green, which focused on how the movement has played out in underserved communities. Upon graduating, Juan began working at EnerNOC, an “energy intelligence” company, specializing in energy efficiency software, demand response programs, and procurement. At the end of his five year tenure at EnerNOC, Juan worked on their Utility Operations team, creating and maintaining relationships with utility partners in North America. Juan stayed in Boston for three years after graduating and then moved back “home” to the NYC area. Outside of work, Juan enjoys running, cooking, and reading about urban planning and architecture. Anika Wistar-Jones has been making solar accessible to low-income New Yorkers since joining Solar One in 2016. 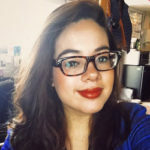 She joined Solar One’s Here Comes Solar team after working in the environmental movement throughout New York and New England. As a grassroots organizer with Environment America she led campaigns against climate change and fracking, and in the political realm, she organized campaigns for Senator Markey in Massachusetts and Senator Murphy in Connecticut and worked for Senator Sanders in his Washington, DC office. More recently, she’s helped grow mission-driven solar and energy efficiency start ups in Vermont and New York. 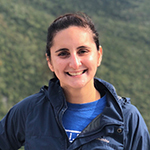 Born and raised in Vermont, Anika attended the United World College in Duino, Italy, and Middlebury College in Middlebury, VT, where she got her start in the environmental movement. When she’s not at Solar One, Anika can be found hiking in the woods, dancing in the streets, or getting lost in far-off places. She is passionate about environmental justice and the color blue. Derek joined Solar One in 2017 to implement solar PV+energy storage projects. Prior to joining Solar One, Derek spent four years in San Francisco with SunEdison and the Sierra Club’s Environmental Law Program. At SunEdison, he managed the company’s solar and wind Renewable Energy Credit portfolios, and monitored SunEdison’s energy projects across the country. With the Sierra Club, Derek supported litigation seeking to replace fossil fuel-fired generation with renewables along the West Coast and conducted policy research for this litigation and other campaigns. Derek came to the Sierra Club after graduating from Columbia University with a degree in Sustainable Development and Evolutionary Biology of the Human Species. 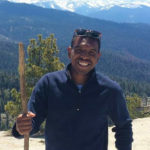 At Columbia, he received travel fellowships to study low-carbon agricultural intensification in Kenya and hydropower development in Thailand. 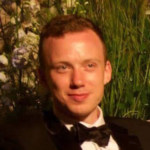 Derek also co-authored a report on the carbon impacts of global livestock production for the UN and spent three years researching primate evolution at the American Museum of Natural History. Outside of the office, Derek is a musician and hapless Mets fan. Marigo joined Solar One in 2017 to facilitate rooftop solar projects with multi-family market rate buildings and to develop Here Comes Solar’s long term revenue model to ensure that services for low-income communities remain accessible. Marigo’s educational background is in Community Development and Applied Economics and she is recently trained in Solar Photovoltaic Design. Before Solar One, she worked with the Advocacy Institute to support a range of social justice campaigns in New York, and as a policy consultant with the National Economic and Social Rights Initiative on a universal healthcare campaign in Vermont and a fair development plan for the City of Baltimore. Born and raised in Brooklyn, Marigo is passionate about public policy and addressing inequities in an urban environment. In her free time, she’s a poet and songwriter, and enjoys time with friends and farmland in the Hudson Valley. 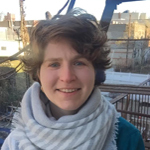 Gretchen joined Solar One in 2019 to assist with the Community Solar Program, and help develop it’s initiatives to make solar available for low to moderate income communities and renters. 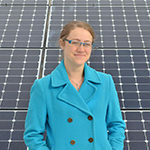 Prior to joining Solar One, Gretchen worked as a residential solar project manager for 3 years. Her interest in solar and the environment comes from her educational background at Marist College where she studied Environmental Policy and had the opportunity to spend a semester abroad in Costa Rica to study the nation’s efforts to achieve carbon neutrality. 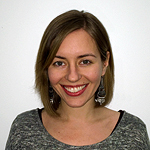 In her free time, Gretchen enjoys hiking in the Hudson Valley, reading, and playing rugby. 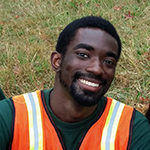 Patrick Owusu joined Solar One’s Here Comes Solar program in 2019 to ensure low income housing residents know that green energy alternatives are not only available, but affordable and accessible. Patrick is a born and raised New Yorker from Washington Heights and a graduate from Brooklyn College, obtaining a B.S. in Earth and Environmental Sciences. While in school, he found a passion for fighting to improve New York City’s environment in ways great and small. Whether it was a campaign calling to keep NY fracking free (2014), organizing waterside cleanups, or helping New Yorkers understand how to dispose of household waste with DSNY (2017-2018), his track record shows a mind geared towards a sustainable future. For the times that Patrick isn’t deftly working to further his career, you can find him at the gym, at a downtown bar, hosting a home-brewed D&D session, or relaxing in a park; contemplating the world with a smile. Mike joined Solar One in 2015. 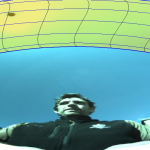 His background in carpentry, restoration, electrical systems, materials and environmental sustainability led him to his passion for solar energy. He was introduced to NYC Solar through the installation of a solar system at his own self-managed co-op where he took an active role in the PV interconnection and metering arrangement of the building’s electricity. Mike continued to explore the world of solar technology and policy and loves his role advancing New Yorkers’ abilities to generate clean energy and contribute to New York City’s electrical generation and distribution system. At Solar one, Mike traverses the City to analyze buildings for solar feasibility and consults on a variety of projects, providing technical expertise on topics ranging from solar energy system design to creative metering and distribution of solar energy credits in order to maximize savings for Here Comes Solar program participants. Mike lives in Sunset Park, Brooklyn with his family. Richard served five years as an Aviation Electrician in the US Navy before earning a BS in Geographic Information Science from the University of Wisconsin. He joined the solar power industry in 2008, working on approximately 140 commercial, industrial and residential PV projects in roles ranging from installer to construction manager. In 2013, he moved to New York City to study for a MS in Construction Management at NYU. 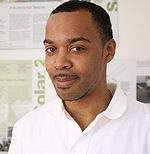 While studying, he led the design and construction of four PV systems in Brooklyn and Queens for a local developer. 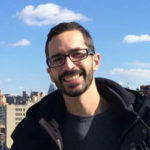 Richard joined the Solar One team early in 2016 and has been working primarily on the New York Rising Community Reconstruction Solar & Battery Backup project as a technical advisor and system designer.